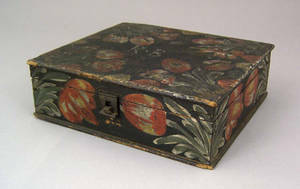 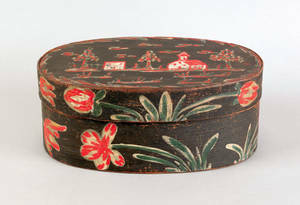 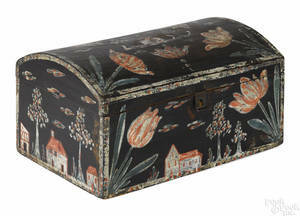 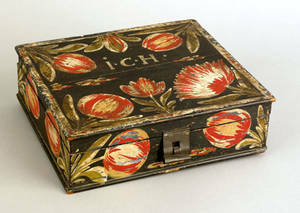 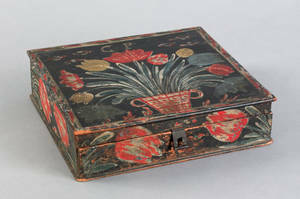 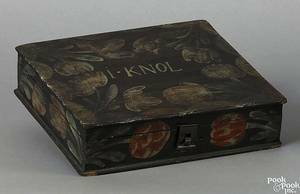 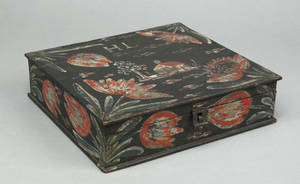 Heinrich Bucher(late 18th/early 19th c. ), Berks County, Pennsylvania , rectangular painted and decorated pine storage box with hinged lid and tin hasp, the lid with house and tulip decoration, inscribed "H.L. 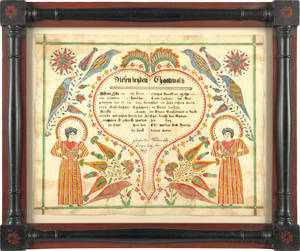 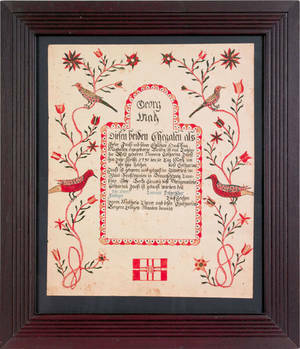 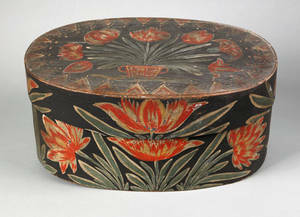 ", the sides with tulips, all on a black ground, 2 3/4" h., 10 1/2" w, 9 1/2" d. Provenance: Hattie Brunner. 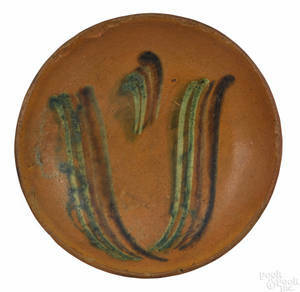 Heinrich Bucher, Berks County, Pennsylvania, late 18th/early 19th c.
Berks County, Pennsylvania redware pie plate, 19th c.